The High Line’s design is a collaboration between James Corner Field Operations (Project Lead), Diller Scofidio + Renfro, and Piet Oudolf. On this page, you’ll find information about the design and construction process that was required to transform the High Line into a public park. 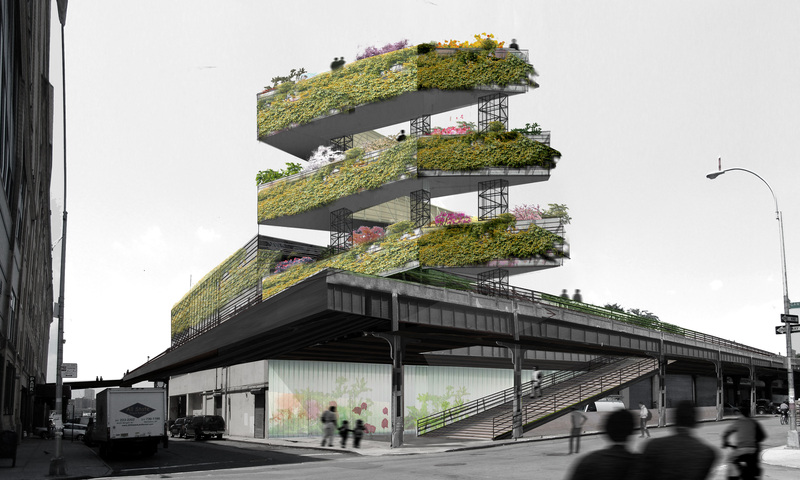 To build excitement for the High Line’s potential as a public space, Friends of the High Line launched an open, international ideas competition, soliciting innovative proposals for the High Line’s reuse. Entries did not have to be practical or realistic. 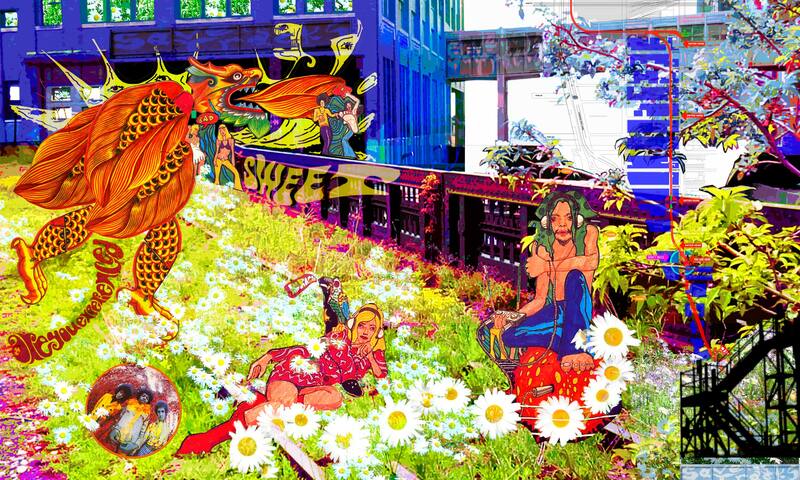 Entrants were encouraged to be bold and forward-thinking—to create visions as unique and unexpected as the High Line itself. We received ideas from 720 individuals and teams, representing 36 countries, and including ideas as wild as a giant roller coaster and a mile-long lap pool. A panel of jurors awarded four principal winners, three special award winners, ten honorable mentions, and more than 150 other noteworthy proposals, which were displayed at Grand Central Terminal that summer. 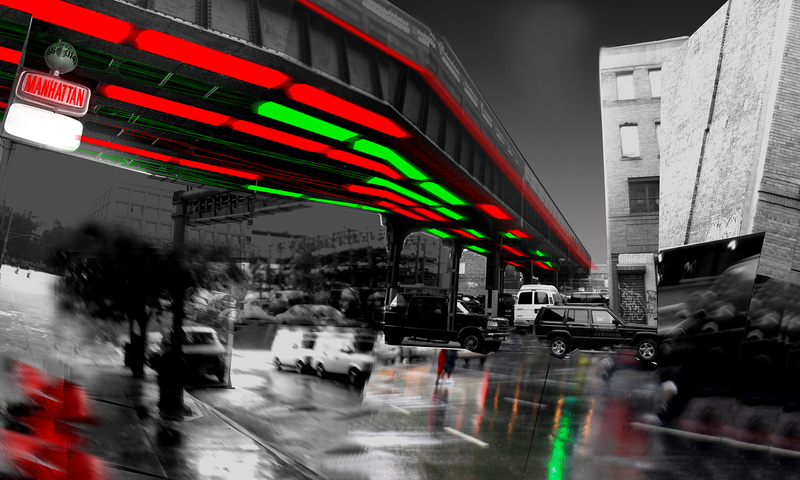 In 2004, Friends of the High Line and the City of New York partnered to select the High Line’s design team through an invited design competition. Our original Request for Qualifications received responses from 52 teams, each of which included experts from the fields of architecture, landscape architecture, engineering, art, urban planning, and horticulture. 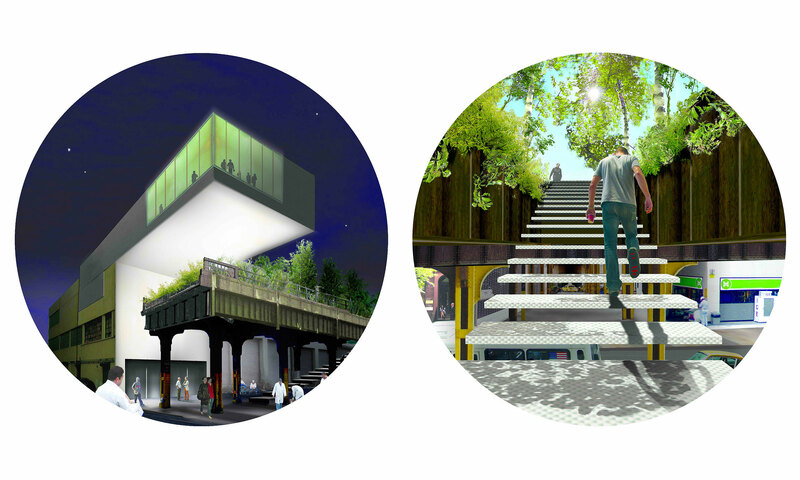 Four finalist teams proposed their design approach to the High Line—not intended to be final plans, but rather framework plans and strategies of the direction each team would take if selected. 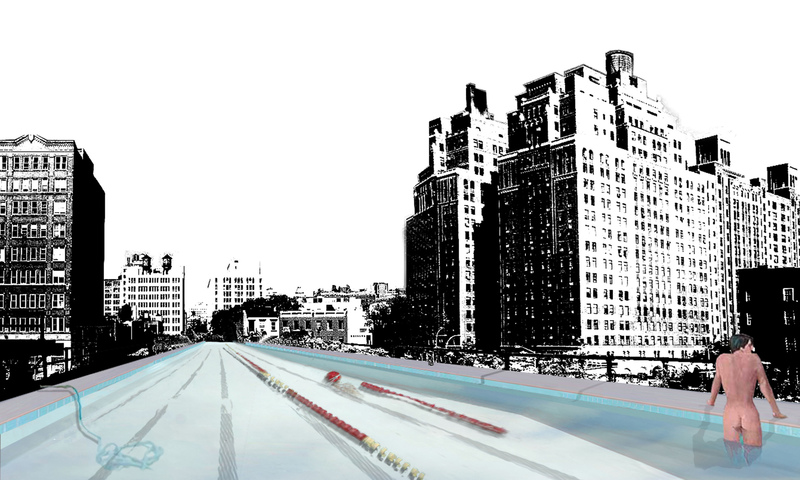 Those four submissions were exhibited for the public at New York City’s The Center for Architecture in summer 2004, and can be viewed below. In October 2004, a Steering Committee made up of representatives from the City of New York and Friends of the High Line selected the team of James Corner Field Operations (Project Lead), Diller Scofidio + Renfro, and Piet Oudolf to begin design work on the High Line. 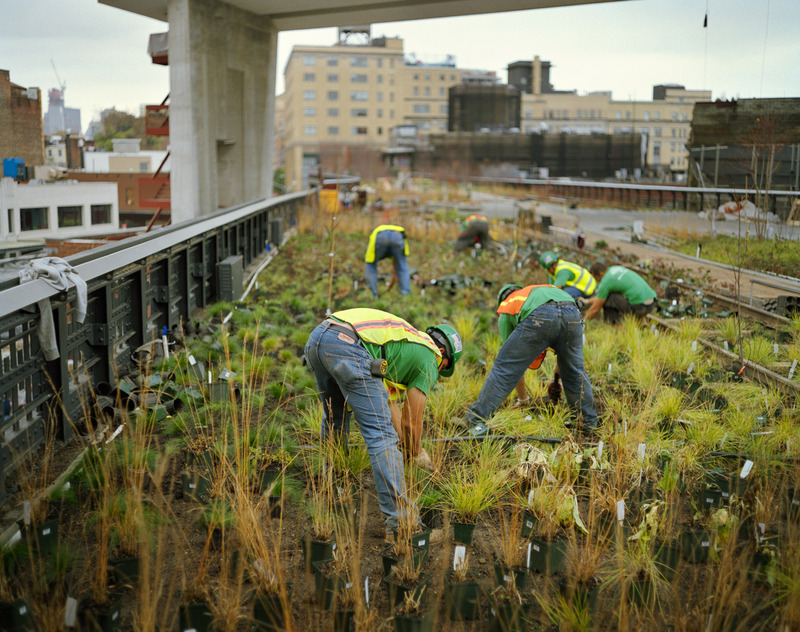 The High Line opened to the public in sections—starting at Gansevoort Street. See renderings from each section below. Gansevoort St. to 20th St.
20th St. to 30th St.
30th St. to 34th St. 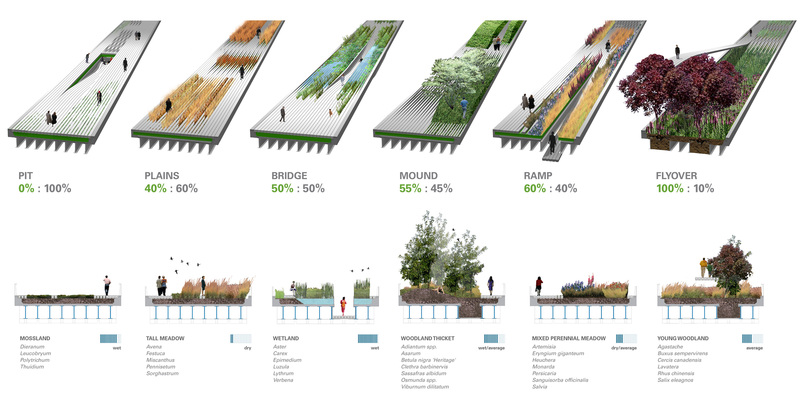 Converting each section of the High Line from an abandoned rail line to a public landscape entailed not only years of planning, community input, and design work, but also more than two years of construction for each section. Construction began with removing everything on the structure, including rail tracks, gravel ballast, soil and plantings, debris, and a thin layer of concrete. As each section of rail track was removed, it was tagged, surveyed, and stored—many of the rails and other artifacts were returned to their original locations and integrated into the landscape design. 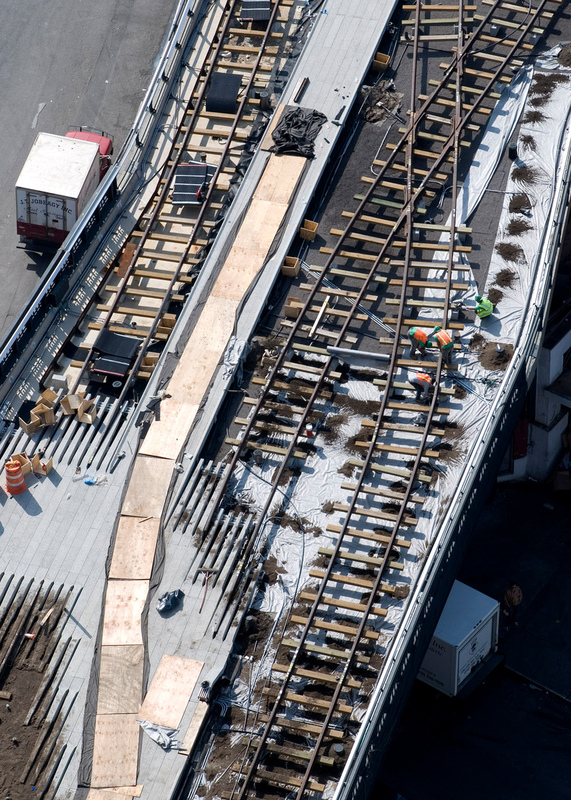 After removals, the steel elements of the High Line were sandblasted to remove the original lead paint. 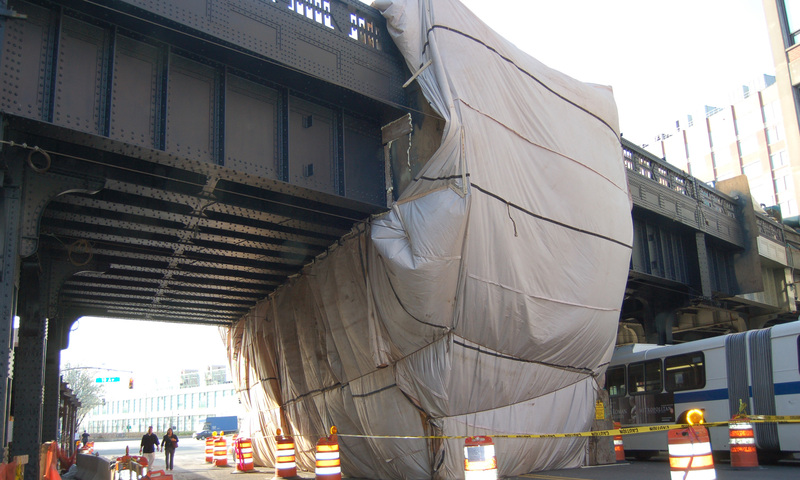 A containment tent was used to envelope one 25-foot section of the High Line at a time. After the sandblasting operation was complete, the steel was then repainted to match the original color of the High Line. Finally, concrete repairs and waterproofing work was completed. The High Line structure itself is structurally sound—it was built to carry two fully-loaded freight trains—but repurposing it required these minor repairs. 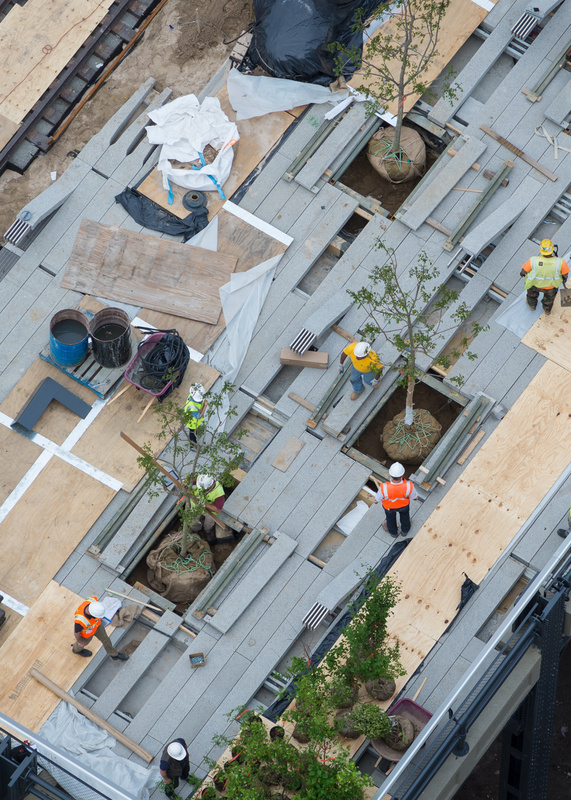 In the final phase of construction, the High Line pathways, access points, plantings, furnishings, and lighting were installed. 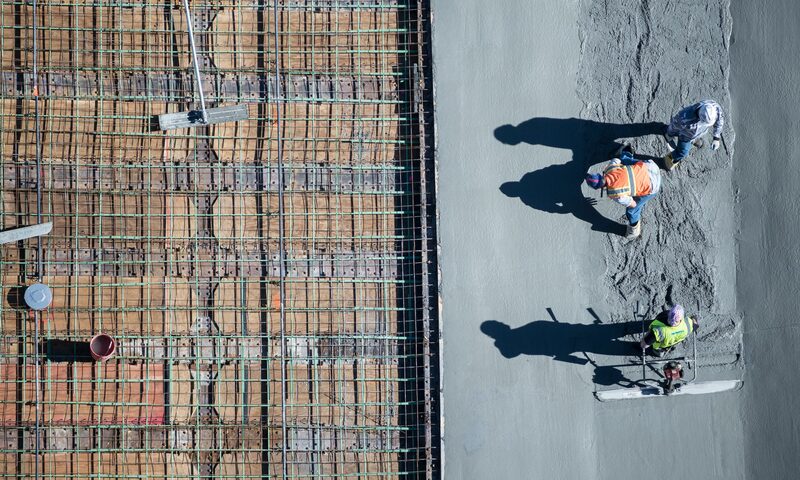 The pathways, created from precast concrete pavers—or planks—were laid into place onto a series of pedestal supports, and irrigation and electrical infrastructure elements were run in the void beneath them. 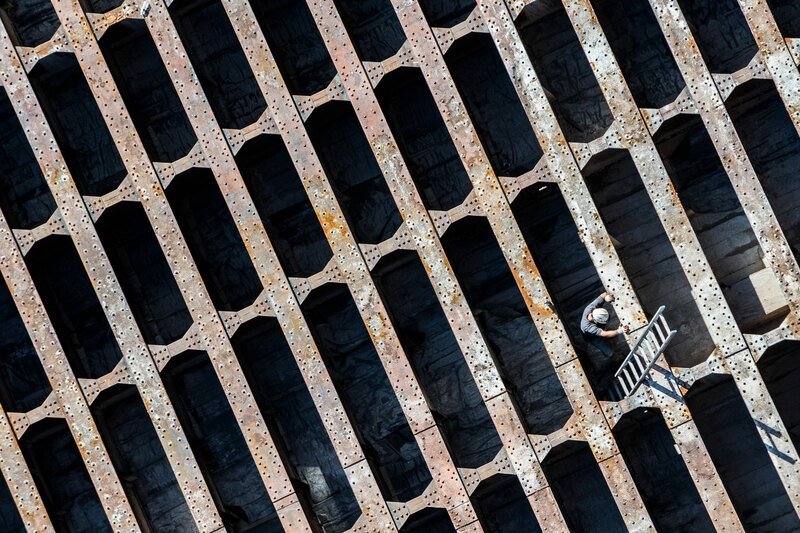 In some locations where stairs were installed, steel girders were removed—allowing the stairs to pass through the structure of the High Line itself, and providing an opportunity for visitors to see the massive steel girders supporting the entire structure. Additionally, energy-efficient LED lighting elements were installed to illuminate the park’s pathways at night without conflicting with the ambient light of the surrounding city sky. 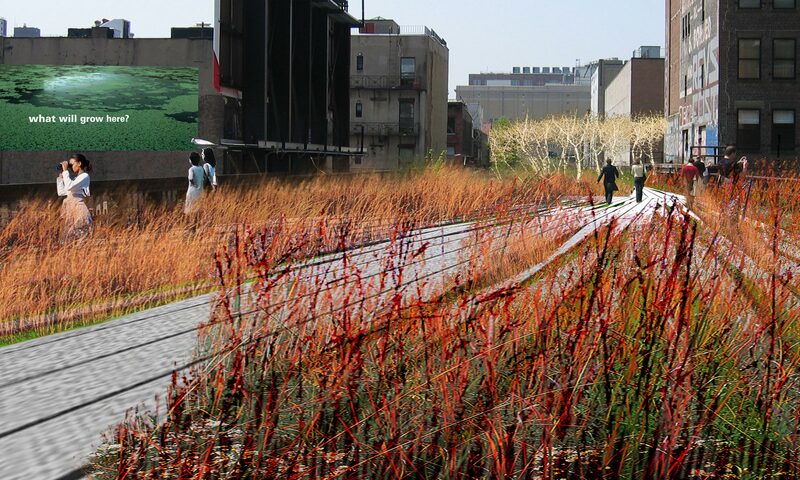 The High Line design is a collaboration between James Corner Field Operations (Project Lead), Diller Scofidio + Renfro, and planting designer Piet Oudolf. The Spur, the last section of the High Line that extends east along 30th St. and terminates above 10th Ave., will open April 2019. 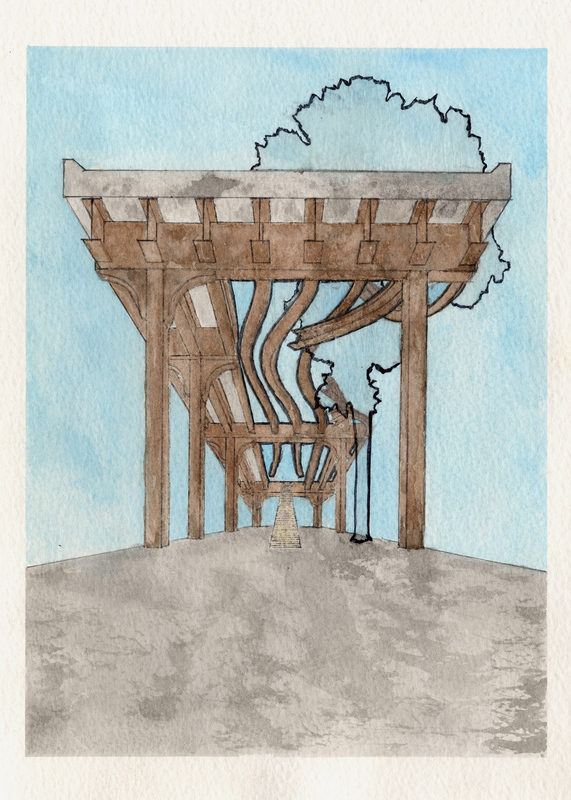 This section will feature a large-scale plaza for public programming and art, areas for seating and gathering, and two oversized “tilted” planters that will feature a lush, immersive woodland environment. Currently under design, the 18th St. Plaza will be located at street level, along 10th Ave. The 10,000 square foot site will feature a large, curving planting bed with low plantings and trees. 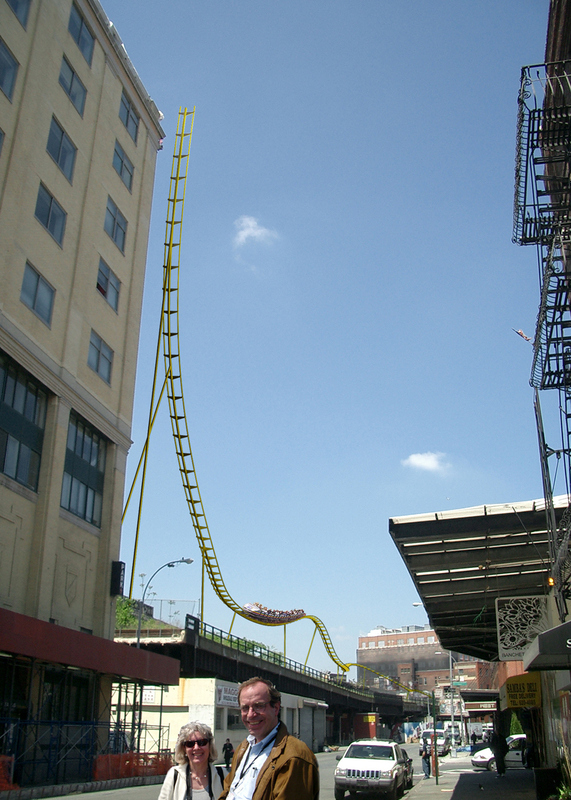 A billboard anchors the site to the north and will be repurposed to display art, and a new stair and elevator to the High Line will be constructed with the plaza.